The potential value of automation for the business world is huge. 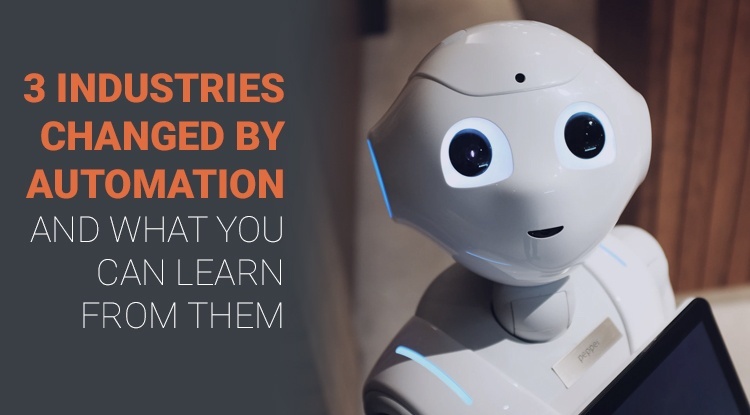 And If you’ve read our ebook, The Accountant’s Guide to AI, you’ll know that we believe automation will offer significant opportunities and benefits for the accounting industry. The future of artificial intelligence in the accounting industry can be seen in other industries who have undergone similar changes. If you’re unsure about the short and long-term benefits of automation for your practice, why not look to other industries who’ve embraced the benefits of automated processes, and see the tangible benefits they’ve experienced? Automated systems in the car industry are one obvious example of the transformative power of automation. 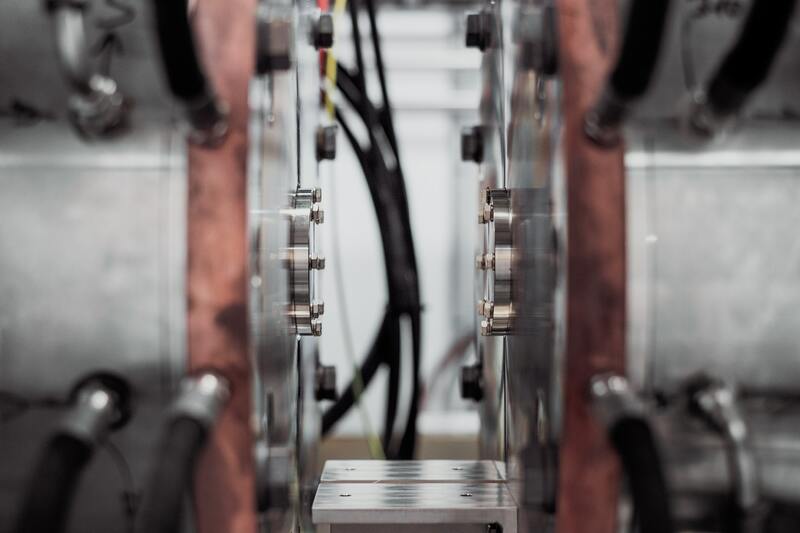 Since the 1970s, manufacturers have been introducing robotic elements to their production processes, reducing the number of human workers needed to produce a car. What car companies realised was that the production line model pioneered in the early 20th century by Henry Ford was a highly systemised and repetitive process – and it’s this delivery of repetitive tasks that automated robotic tools excel at. Reduced labour costs, increased efficiency and upped the quality of the end product. This may sound like bad news for the employment prospects of human workers in the automotive industry but, in fact, the reverse is true. Rather than completing the low-skilled, repetitive tasks, humans can now let the robots do the basics, while people focus on the high-skilled, intricate elements that require a human touch and a flexible approach. Mercedes Benz is one manufacturer that’s actually removed robots from some processes in order to have smaller robots working alongside and in partnership with human workers. Rather than robots stealing jobs (as the cynics tell us) automation is actually improving the working conditions, prospects and value that humans bring to the table. 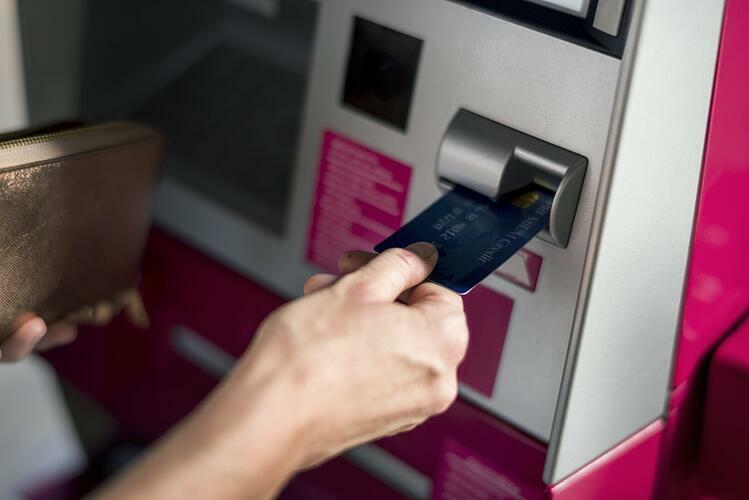 Another clear example of automation is the introduction of the ATM by the banking industry. Go back to the 1960s, and if you wanted to withdraw your hard-earned cash from the bank, you needed to stand in line at your local branch and wait to be served a teller. Then, in 1967 the world’s first automatic teller machine (ATM) was installed by Barclays Bank in Enfield, North London. What the ATM’s inventor, John Shepherd-Barron, had realised (and also convinced Barclays Bank of), was that paying human beings to be bank tellers was unproductive. Counting out and handing over the customer’s required cash was an extremely menial, tedious and boring job for the tellers. It was also slow and inefficient – with human tellers only able to process customers as a finite rate (as the queues in the bank grew longer). Using a machine to sort, count and deliver the bank notes was faster, more convenient for customers and freed up bank staff to take on other customer-facing, value-add roles. The surprising result was the number of bank tellers actually increased. From 1970 to 2010, the number of bank tellers in the U.S. increased from a little under 300,000 to around 600,000, according to Bureau of Labor Statistics numbers cited by the public policy think tank American Enterprise Institute. This is largely because automation allowed banks to open more branches with fewer staff. While teller numbers are now declining, as internet banking changes how services are delivered, by 2024 we’ll still have over 480,000 of them and they’re doing more than just handing over cash. A less obvious, but still highly disruptive, use of automation is the evolution of the computer-based reservation system in the travel industry. 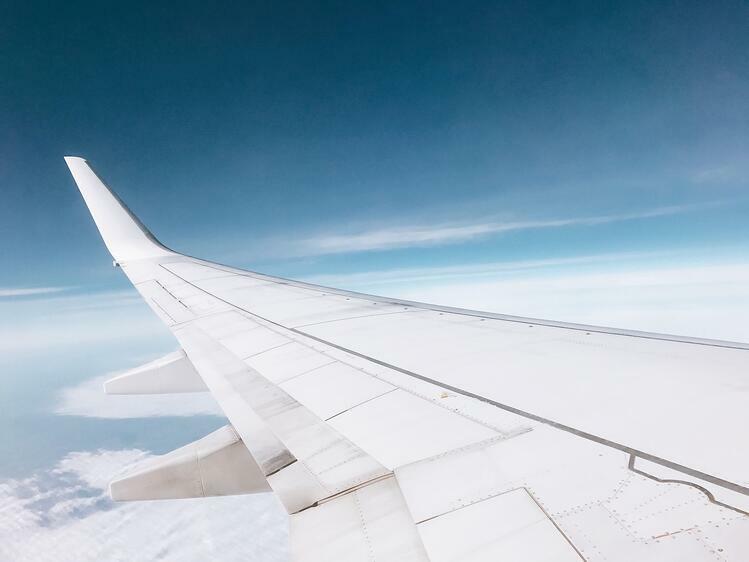 The big challenge for travel companies was being able to track and record their reservations and sales – allowing agents and customers to see the seats, rooms or holidays that are still available to buy. There’s a lot of data to process, and experienced human operatives were needed to make the system work. The real gamechanger came when United Airlines introduced the Apollo computer reservation system, and made it available to high-street travel agents. Now, the average person could take a trip to the high street, talk to an agent and book their flights and holiday straight away. The next logical step in the automation of this travel process was the invention of the internet. Being able to book your holiday online is second nature to us now, but online booking transformed the industry. Anyone with an internet connection can now visit a travel company’s website and find a holiday, without the need for a travel agent, or a human representative of the company. We can search for destinations, flights and hotels, then create a tailored or package holiday – all from the comfort of our own home. We can pay for the holiday up front using a cashless card and online payment gateways. The whole process of demand, supply, payment and revenue income has been automated for the travel company – with the added bonus of making things highly convenient for their customers. From the perspective of the consumer, online booking has added a huge level of convenience to booking a holiday. 76% of people booked their holiday online in 2016, with 64% of those online bookings made from a PC, 23% from a tablet and 13% from a mobile – in short, you can literally book your vacation wherever you are, whatever time it is. Using the internet and digital devices to find, book and pay for your holiday has revolutionised the way the holiday industry works – adding value both for the consumer and for the travel companies. And the same benefits of online working can be applied across many industries. How can automation be applied to accounting? So, what does has all this talk of automation got to do with your accountancy practice? The short answer to that question is ‘Plenty!’, and the longer response is that automation is already transforming the way the accounting industry functions. By applying automation and artificial intelligence in smart and effective ways within your practice, you cut down the labour, increase the value and productivity of your staff and make the day-to-day accounting tasks easier for you and the businesses you work with. 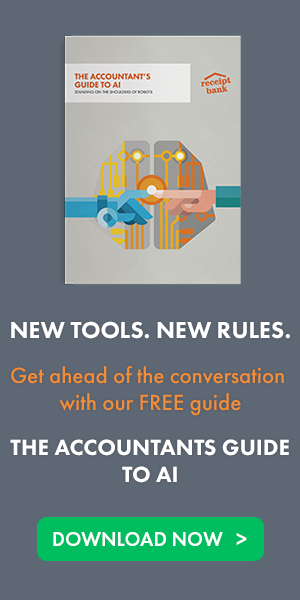 There’s lots more on the benefits of automation, artificial intelligence and digital accounting in our guide – The Accountant's Guide to AI. Get it for free now!